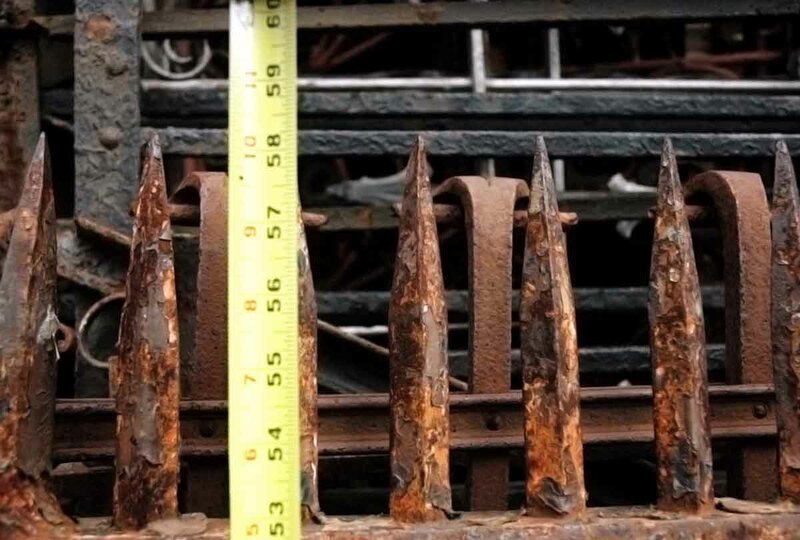 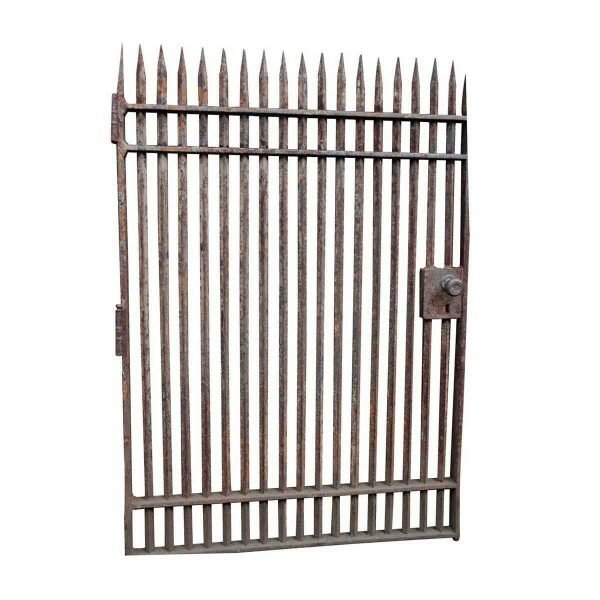 This is a genuine vintage security gate with tall spike finials. 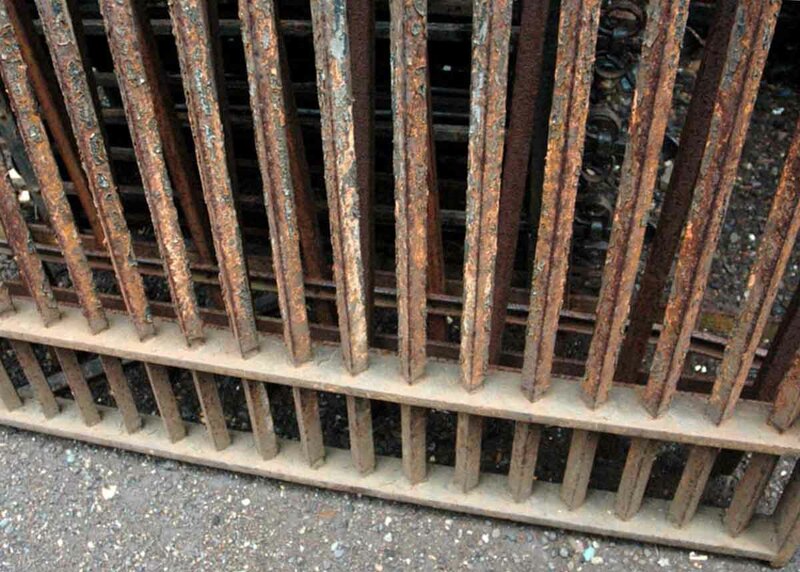 The gate is in good condition with an overall rusty paint crackled patina, but no rot. 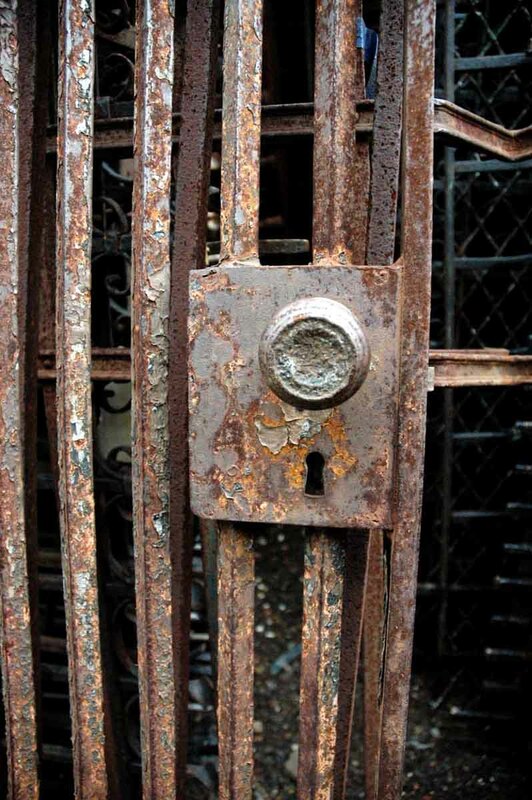 The mount for the doorknob is original wrought iron which is very interesting. The door knob is a later addition which can be easily replaced.